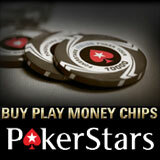 Players can now buy PokerStars play money chips using there real money in their PokerStars account. 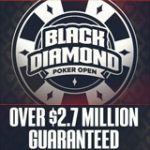 PokerStars are adapting to a system similar to Zynga Poker where players can buy large amount of PokerStars play money chips for real money. 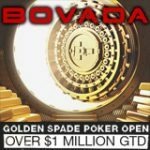 PokerStars have added high stakes poker play money games where players need large amounts of play money chips to enter. The new feature is most probably to target players using the PokerStars Play Facebook app and steal some of the profits from the play money poker sites. Zynga Poker leads PokerStars for the amount of play money players online with almost five time more play money poker traffic. PokerStars Play is a free poker app on Facebook created by PokerStars with a similar format to Zynga Poker, players can play for free or deposit to purchase additional free poker chips. Players can now buy PokerStars Play Money Chips starting from just $1.99, players can use their real money bankroll to be converted into free poker chips. 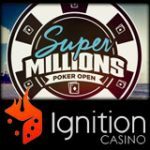 Get millions of free poker chips by depositing and play High Stakes Poker play money games featuring a $1 million buy-in for a Knockout tourney and The Sunday Billion. All Pokerstars players are given 1,000 chips to start with, players can reload their PokerStars play money chips three times per hour for an additional 1,000 chips. To reload your play money chips for free click dealer chip tray and click on Add More Chips. To purchase additional PokerStars Play Money chips - Click on Requests in the PokerStars lobby main menu then Buy Play Money Chips. Payments are handled by WorldPay on Facebook or through the PokerStars lobby. Pokerstars Play money chips cannot be changed to real money. 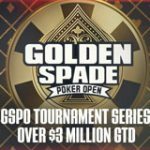 I just don't understand the logic of using real money to play free poker games online where you could rather be playing for real money, even if it is micro stakes or freerolls. A word of advice to depositing free money players, all the time and money you waste playing for free, completing levels and challenges and growing your empire of fun money chips that have no value. 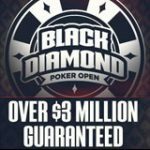 Rather start play for free by playing the daily 888 Poker Winter Games Freeroll with a $10,000 prize pool, new players get free tournament tickets just for signing up plus free 888poker cash up to $88. If it's the social thing you enjoy, completing achievements, missions, adding poker buddies and challenges rather play on the new Party Poker software which has all those features available for real money play. Or just deposit and play real money poker games at PokerStars instead of purchasing play money poker chips. 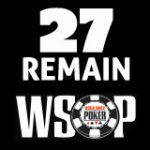 Most poker sites only have a minimum deposit of $10 which is enough for micro stakes games.